BEIJING Suntech, one of the world's biggest solar panel manufacturers, has been forced into bankruptcy court, becoming the latest casualty of a painful slump in the global solar industry. Wednesday's announcement came after Suntech Power Holdings Ltd. missed a deadline last week to make a $541 million payment to bondholders. 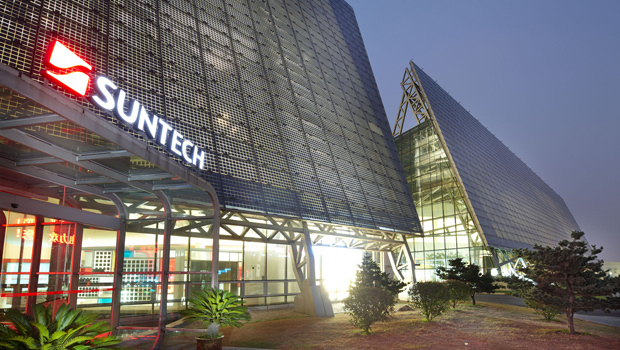 Suntech said a group of eight Chinese banks filed a petition with a court in eastern China to have it declared insolvent. The company said it would not object to the petition. Suntech and other Chinese solar panel producers have suffered huge losses over the past year in a price-cutting war brought on by lower sales and excessive production capacity.